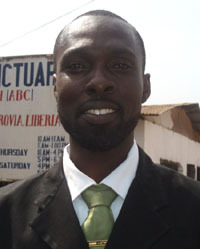 Ramsey Keita is a pastor of the Covenant Sanctuary, African Bible Church in Liberia. He is closely involved with our Board of Directors for Provision of Hope, consulting with them frequently. Ramsey Keita graduated from Global University with a degree in Theology. He comes to serve as an excellent counselor, administrator and Bible Teacher. Ramsey is a humble man with a strong faith in all that is possible with God. Ramsey has five children, two of them are orphan children he took when Provision of Hope needed a place for them. They have become a close knit family. 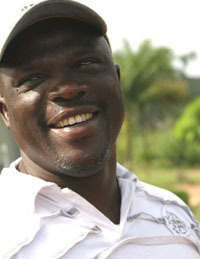 Sackie Kwalalon has been a consultant and advisor for Provision of Hope since our arrival to Liberia in 2003. We have made many decisions based on his Godly counsel, including the opening of My Father’s House and the Discipleship Training Center. Pastor Sackie is a man of prayer and our youth know he has their best interest at heart. For this reason, they carry a high respect for him and will listen to what he has to say, even when he comes to correct them. Sackie has a passion to raise up the next generation to be strong leaders for Jesus Christ. He is a true father and has been a pastor in Liberia since 1995. He founded the Covenant Sanctuary, African Bible Church, where many of our young people attend. Sackie holds a BA in Theology. Presently he is living in the US, with his wife Rebecca and two sons. He continues to be very involved with activities in Liberia and is always on call when we need him. Carol Jones grew up in the apartheid era in South Africa and became aware at a young age that she was born into privileged circumstances while millions lived in tin shacks, with poor access to food or even clean water. This dramatically impacted her and at an early age she decided to reach out and help the less fortunate in life. Together, with her husband Glynn and her four children, they have sponsored children in numerous countries and have also traveled and volunteered in impoverished nations. Carol’s involvement in Liberia started in 2005, when she first heard of Karen Barkman’s desire to set up a home for boys who were displaced from their orphanage. She and her family have special “sons” and “daughters” in the land and have been involved in helping fund various projects. 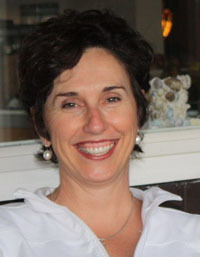 In 2009, Carol joined Karen Barkman, Tim Moores, and Karen Aerssen for her first trip to Liberia. She has a passion to see these young men and women equipped through post-secondary education, job creation and micro loans to become self-sustaining as they are fast reaching adulthood. Although she went to give, she has found that she received so much more from the Liberian people who are full of faith, hope, love and joy despite their circumstances. They have a very special place in her heart. Tim Moores is a father of four great kids, and along with his wife, Deanna, they make their home in Edmonton, Alberta, Canada. Tim became involved with Provision of Hope in 2008 through the relationship between Karen’s people in Ghana and the three refugees (Jallah Nauhn and Mercy & Trokon Sackrow) that they support in West Africa. 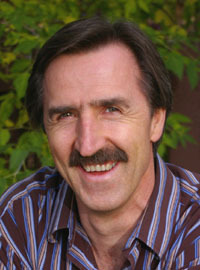 Tim is a multimedia producer and web site developer. He developed the current web site for Provision of Hope. He was invited by Karen to travel with her to Liberia and Ghana in January, 2009 and in so doing he met and ministered to the precious widows, orphans and refugees that are in the care of this ministry.